The ZSL Whipsnade gives you the opportunity to see some of the world's most endangered species in a magnificient setting atop the Chiltern Hills. New in 2009 is the chance to track down the Big 5 - lions, elephants, rhinos, bears, and giraffes using a challenge booklet - plus hands on experiences. The ZSL Whipsnade also has birds of the world, the jumbo express, cheetah rock and sealion splash. 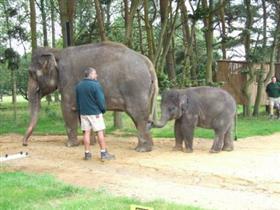 ZSL Whipsnade Zoo is considered reasonably wheelchair friendly. Access to the Woodland Bird Walk may cause wheelchair users some difficulty, as it is covered by bark chippings in order to subdue the noise. For full details call. ZSL Whipsnade is committed to conservation issues and raises money for many projects in other countries.